Sydskånska Nationen is that little big nation, a place where you recognise everyone and everyone recognises you. We’ve grown quite a bit in the past years and we are now one of the largest nations in Lund, in terms of the amount of members. We’re very happy to say many of these members are also active in organizing and arranging the activies and sections related to the nation and are a part of the community that we value so highly. Under the roof of Sydskånska (“Southern Skåne:ish”), everyone is from southern Skåne, no matter where you come from! In Lund we are known as the nation where the music matters. This is certainly accurate. We love music, and you’ll know that when you visit our clubs, pubs, lunches, cafées, or when you just stop by the reception to say hello. We also love doing things outside the nation and have a very active activities- and well-being-committee called NATU. Together we go hiking, go to museums, arrange festivals, and all kinds of other strange stuff. 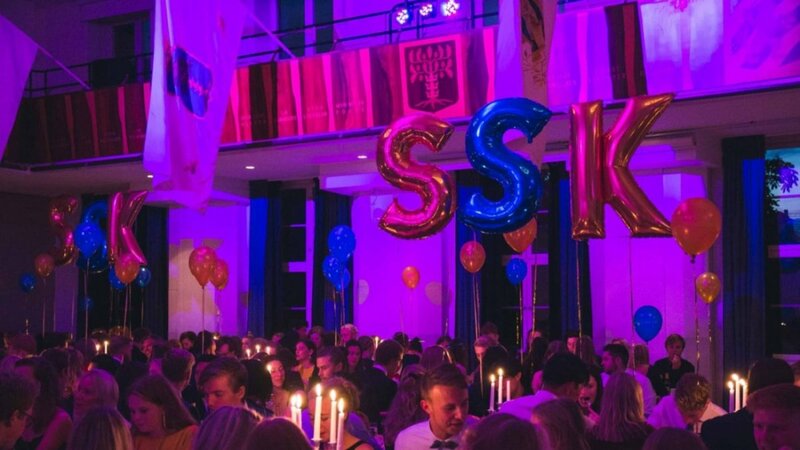 Sydskånska is a dynamic environment that promotes innovation and fresh thinking – we welcome ideas and suggestions with open arms and always try to take the time to realize them. Welcome to the music nation of Lund!